Before the end of 2014, I did my usual research on the most anticipated games for 2015. There was a long list and I’m always checking for RTSs out of pure devotion to the genre. I always expect to find something with competitive promise or that at least show’s the the genre is actually evolving. This is one of those games I’ll be reviewing for you today. You appear in the middle of what seems to be a dystopian, cyberpunk city. You are an agent and you can’t let yourself be seen, as the tutorial instructs. The world of Satellite Reing is a world where an opressive puppet-like government has polarized the rich and the poor to a self serving extreme. Corporations rule the place and among them, a mysterious organization who’s obscure intentions must be uncovered. 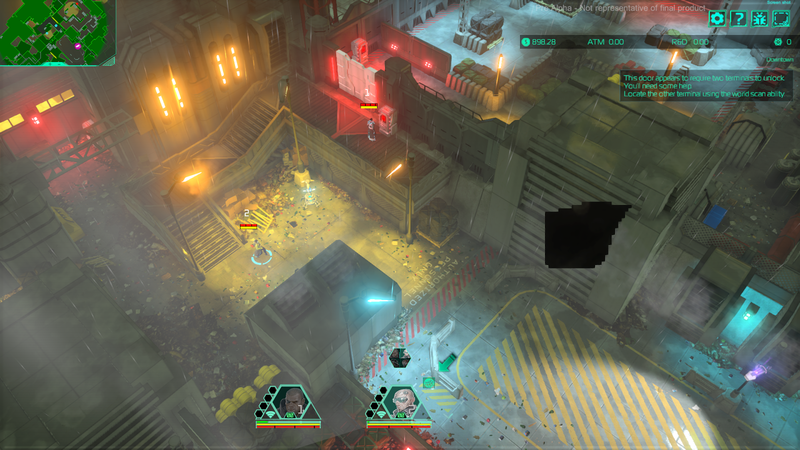 There are a lot of things that make the alpha test of Satellite Reign extremely exciting. It’s a real-time, class-based strategy game with the beauty of keyboard commands, the awesomeness of having a four character party and an exploration/stealth based gameplay. Even though nothing in an alpha is final, there are definite sparks of brilliance in many of the game’s early features. Starting with the fact that Satellite Reign hosts an extremely rich city simulation. “What does this mean?”, you may ask. It means that the city is fully functional, networked and available for you to inccur in espionage, hacking and other amazing tools to complete your missions. 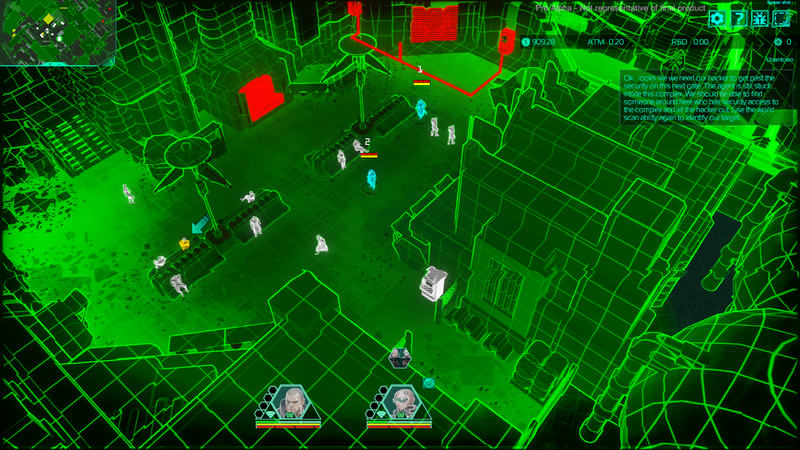 The “World Scan Mode” allows you to asses your surroundings and choose your best course of action. 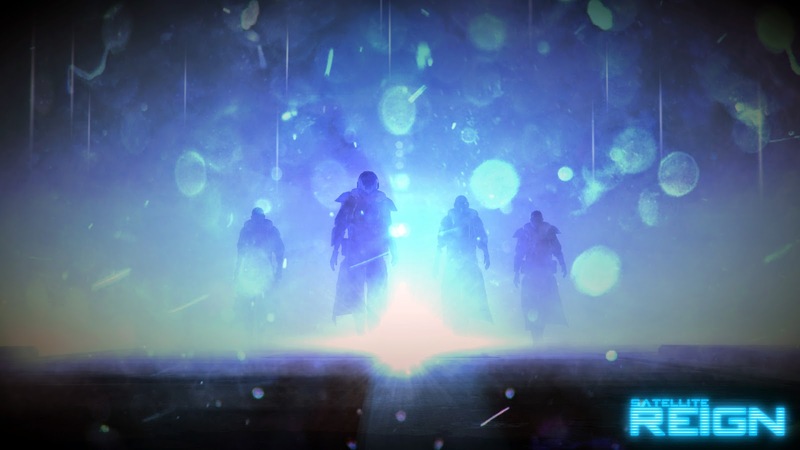 Along with using your party members’ unique abilities to solve puzzles and move forward, this game is perfect for those who love complex strategic and tactical experiences. As far as graphics goes, there’s still a lot to see as the development of this game progresses but the bases are set and it already looks amazing. The team of 5 Lives Studios features some great veteran minds of the gaming industry including Mike Diskett, oneof the minds behind Syndicate Wars. The game will be available for Windows, Mac and Linux. If you’re and early bird like myself, you can buy the Early Access for Satellite Reign at $29.99 USD on Steam and The Humble Store. You can also back this project on Kickstarter to get a copy of the game plus other amazing rewards.